Manila Philippines, a city that is surrounded by opposites. Manila is a huge bustling city that never seems to sleep. It is overflowing with cars, buses and trucks, honking horns and all driving four abreast in three lanes, which can be a bit intimidating at first, but somehow they know what is going on. Manila tends to grow on you the more time you spend in it. As with most places and sights in the world, first impressions are the most important and the first impression you receive of Manila is the humidity and humanity. Stepping off the plane and out of the Nino Aquino International Airport you are hit by the thick dense air, the humidity is stifling. You soon build up a nice sweat, so make sure you travel in light clothes or change at the airport with the benefit of the air conditioning prior to exposing yourself to the humidity. Once in the humidity the next sight you are subject to is the mass of people. This should not really be a surprise considering Manila is one of the most populated cities in the world. You are not allowed into Nino Aquino International Airport, unless you have a valid airline ticket. There is a fence that separates the arrivals and the mass of humanity. For obvious reasons it would be absolute chaos if anyone could go wherever they wanted inside the airport. The smells and odours are all gracious enough to make you there friend, some are good, some well, you can probably do without. But that is what is so mysterious about Manila and what makes Manila so unique, it grows on you and before you know it, the things that once annoyed you become like a long lost friend that you enjoy having around. Manila is the capital city of the Republic of the Philippines. Have a look here for more information on where is Manila? The Nino Aquino International Airport is where international tourists arrive in the country, so Manila is the entry and starting point for you to explore the numerous islands and regions that make up the Philippines. If you are staying in Manila for any length of time and do not have the time to fly to one of the 7,000 odd enchanting islands, then you need to do some day trips from Manila. This is a trip that you have to see, for starters it will be a bit cooler than Manila, I guess that only matters if the humidity gets to you. The view over to Taal Volcano are stunning and you have to trek up to the crater of the volcano. A must Manila day trip. I often get asked where I buy my airline tickets from? Or what rate do I normally get from airlines? Sometimes I get asked if I know any tricks to obtain that elusive cheap airline ticket? Well it all boils down to doing your research and add a bit of common sense. Have a look here for some tips on purchasing cheap flights to Manila. Manila City has a huge variety of accommodation to suit all travelers. If you are use to staying in 5 star hotels, then Manila has some of the best. Even if you are on a particularly tight budget, Manila has plenty of places for you to stay. 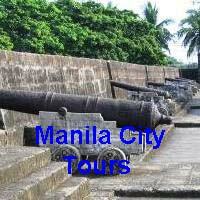 Have a look here for more information on Manila Hotels. Whether you like it or not, when you arrive in Manila you will need to go through Manila Airport. Navigating your way through both arrivals and departures is not as difficult as many advise. Sure the security checks on departure can be annoying, but if you put it in perspective, your safety is worth the hassle. When arriving, just take a deep breath and remember you are on holiday and this is all part and parcel of the Philippines. A tip on departing is, make sure you allow plenty of time to get through all the security checks. 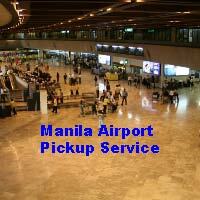 Have a look here for all the information you need, to get you through Manila Airport. Whether you have cash, travellers cheques or credit cards, all can be used in the Philippines. There are definitely advantages and disadvantages depending on your preference. Have a look here for information on what is the best to exchange. The easiest way to get around Manila Philippines is either by taxi or jeepney. Taxis have the ability to take you exactly where you want to go, direct to the door so to speak. Don’t be afraid to ask the taxis driver to use the meter, if he refuses to use the meter, jump out of his taxi and call down another, trust me there are plenty of them. If you feel compelled to pay a set fare, ensure you set the price before you start your trip. These charismatic vehicles are everywhere, not just in Manila but all over the Philippines. Manila Kalesa ride is a RIP OFF! Difficulty to depart from Manila.